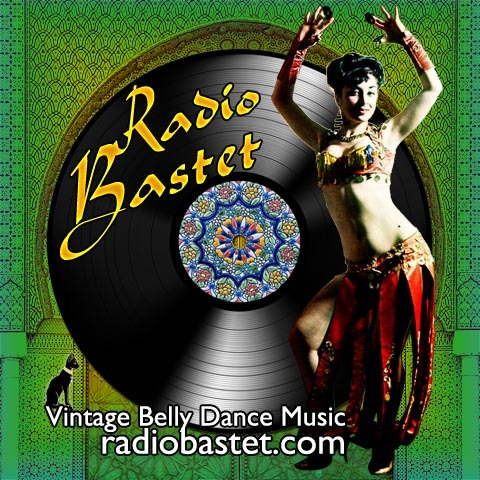 My dear friend Vajra at Conjure Oils ("Fine Fragrances Magickal and Mundane") has created a very special perfume oil inspired by the exotic music and heady bellydance magic of Radio Bastet! Red Egyptian musk, attar of roses, amber, vanilla, patchouli and champa comprise this seductive blend that will have you shimmying and swaying the night away! This fragrance is not part of the regular Conjure Oils line; Vajra will "conjure it up" especially for you when you request the Radio Bastet fragrance oil! Please find ordering information here. Samples are $3 each (there are sampler specials, check 'em out! ); full bottles are available in either 5ml ($15) or 10ml ($25) sizes. Thank you, everyone, and trust me when I say that you won't be disappointed with this fragrance - it is YUMMY!!! Many thanks and Happy Holidays!! !